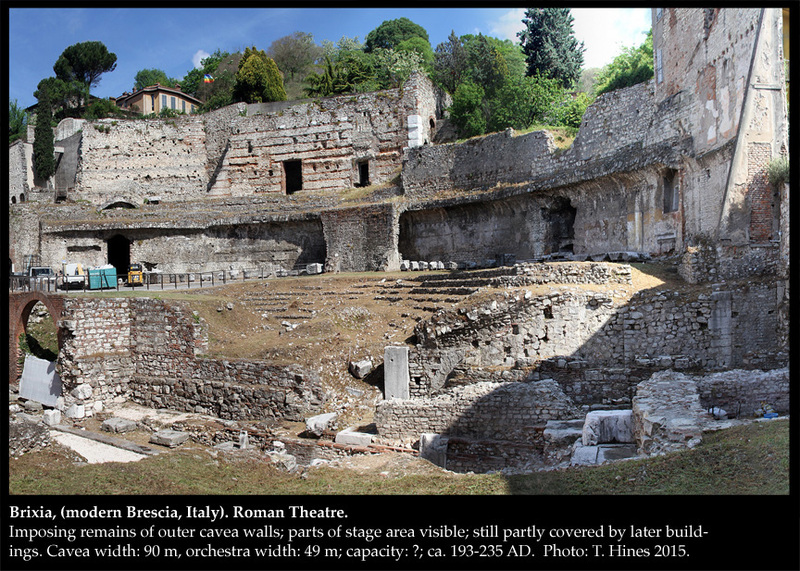 Brixia Roman Theatre, Modern Brescia, Italy. The building used for theatrical performances in ancient Brixia was constructed on the slope of Cidneo Hill near the Capitolium and the Forum, easily accessible from the Decumanus maximus. 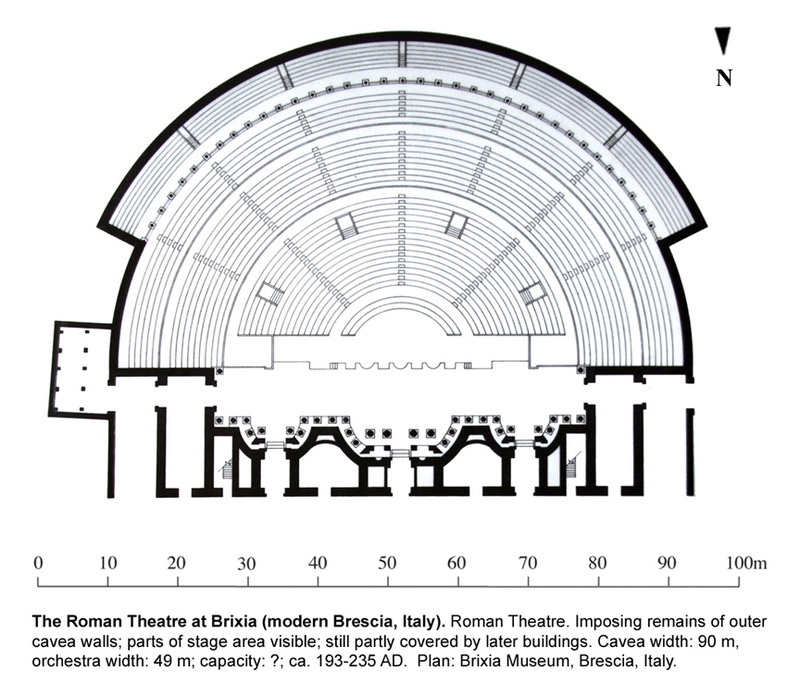 The building itself dates from the time of Augustus (late 1st century BC - 1st century AD) and over the years was enlarged and improved, the architectural decoration of the stage building was renovated in the 2nd/3rd century AD. Copyright © 2003 Thomas G. Hines, Department of Theatre, Whitman College. All Rights Reserved. The Ancient Theatre Archive is a non-profit, educational project, located at Whitman College, USA. Research and Publication Partially Funded Through Grants from Whitman College, The United States Institute for Theatre Technology, The Benson Foundation, and The National Endowment for the Humanities. © This website is copyright protected. Pages may be downloaded, printed, copied, and distributed as long as they remain unchanged and The Ancient Theatre Archive is given due credit.Last Update 11/24/2016.